Lulu Hassan couldn’t hold back her tears when Kanze Dena finally left Citizen TV after landing the State House job. The two developed a close working relationship after co-hosting Swahili news for years. 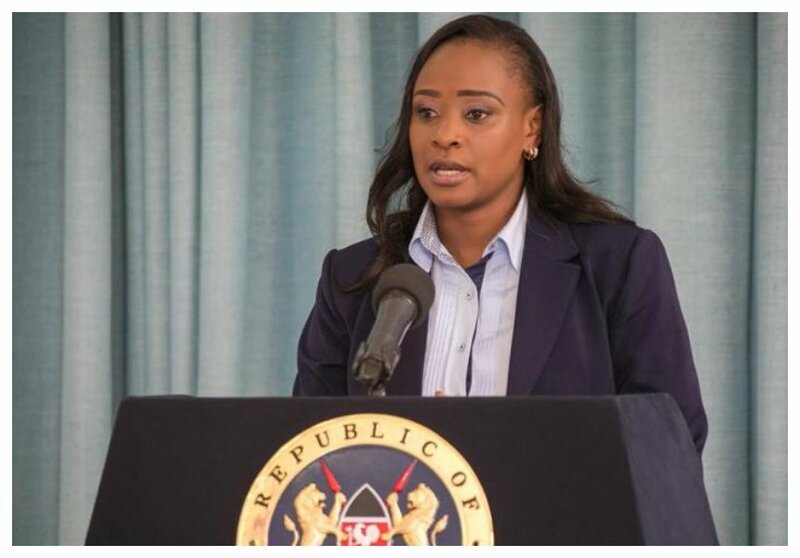 On Wednesday June 20th Kanze Dena addressed the media for the first time since she was appointed State House Deputy Spokesperson. The former Citizen TV news anchor gave a briefing in Kiswahili on president Uhuru Kenyatta’s diary for this week. Lulu Hassan tuned on KBC to watched Kanze Dena address the media in her maiden State House press briefing. Lulu Hassan’s workmate Jay Bonyo secretly photographed her watching the State House press briefing and shared the photo on social media. Lulu replied saying it was indeed a joyous moment for her watching her BFF hold her first State House briefing.